Should The Beatles' A Hard Day's Night Be Colorized for a New Generation To Enjoy? Discussion in 'Music Corner' started by 2141, Oct 1, 2018. By the way, who saw the need for a new word, "colorized"? (or "colourised", or however you wish to spell it.) What's wrong with just saying "colored"/"coloured"? I'm all in favour of neologisms, but only if the new word is serving a purpose that was not served by existing words. That should put an end to the black & white being an artistic decision nonsense. Yes GH was right along. 2141 and Royce like this. Non-issue. The colorization fad has long come and gone. Young people have repeatedly shown the ability to appreciate b&w photography. I like the way Alex thinks! Agreed. If we are messing with 1964 movies, would we put Dr. Strangelove, Or; How I Learned To Stop Worrying And Love The Bomb into colour?! ; that would be a travesty. Mind you, I think Marnie would be better in black & white. PCM7027, mikrt17 and let him run... like this. It would have to be REALLY, REALLY good and life-like. It would take some convincing that's for sure. ...just a thought... so it's OK to remix classic Beatles albums radically, but not OK to Colorized "A Hard Days Night" Film? Hmm...very interesting. Doesn't the same rules apply? In Colorizing a film, you are adding something to the film that wasn't part of it originally. The equivalent would be if during a remix you also overdubbed extra guitar parts or auto-tuned the vocals to sound more contemporary. You know for that "new generation of fans". MikeM, Haristar and Chris M like this. No old fans can appreciate as well. Yeah, it's a bit like adding a new electric four-on-the-floor bass drum to Beatles classics to make them more danceable. Yeah that line was a bit too generalized. Thing is, I know quite a few 20-somethings and as a rule most of them don't seem to care much for old movies. Of course that doesn't mean everyone's like that, but I think a lot are. I was talking to a lad in his early 20's about movies recently. He was heavily into old movies, was trying to see as many of the classics as he could find. I asked if he'd seen The Godfather yet and he said, "no, I'm not really interested in stuff that old." His idea of old was movies from the 1980's/90's. I found that quite amusing but could relate to it when I thought about what I was into at his age. It has surely always been true that young people are not generally that interested in very old media. When I was a teen/early twenty something in the '90s I would have been hard pressed to find anyone of my own age into music or movies from the 1940s/50's. Myself, I was heavily into stuff from the 60s'/70's but it wasn't until I was a bit older that I got interested in classics from an even earlier period. 2141 and ajsmith like this. Reminds me of how Spider-Man calls The Empire Strikes Back 'that really old movie' in 2016's Captain America: Civil War LOL. 2141 and Dayfold like this. Not really. It's more like adding digital reverb, compression, EQ, making a stereo mix where there wasn't one or making a mono mix where there wasn't one, ALL of which have been done to The Beatles music already. B&W was more accepted in the 70s, largely because a lot of people still had black and white TVs. When I was 11, my parents bought me my own TV, and it was B&W. I still suspect more than a few people resisted B&W movies even then, though. I agree that once color TVs were at 100% in the 80s, it became even tougher to sell B&W, but I have to believe a decent number of people didn't care for it even in the 70s. IIRC, Mel Brooks had to fight hard to get the studio to let him shoot "Young Frankenstein" in B&W, and that goes way back to 1974! "I Love Lucy", "Abbott and Costello", "Laurel and Hardy", old B&W movies, etc., etc., were always a daily part of television back then. I don't remember any of us kids even once having a hard time enjoying them. NO, NO, NO, NO, NO, NO, NO, ABSOLUTLEY NOT. What next? Is nothing sacred? Next you know they will be talking about adding sound to the movie. 2141 and Haristar like this. This isn’t even because it’s a Beatles film. Films should be left as is. I'm guessing that only a small percentage of posters here have themselves created some sort of work of art (using the term loosely...no one here has created anything that is of the stature of A Hard Day's Night). But all of you who are so glib about colorizing the film, whether you've ever done the above or not...imagine for a moment that someone who is NOT you comes along and says "We're going to take that song you recorded that you poured your heart and soul into and dub additional studio musicians and vocalists on top of it." Or "We're going to take that painting of yours and put some dayglo paint over it to give it more 'appeal.'" Or "That novel you wrote...we want it to 'speak to' new generations, so we're going to 'update' it to the current time period and change the main characters you created to make them more modern." "And then we're going to put that thing out there that YOU created and has your name on it — but since we messed with it, we'll give ourselves a couple of extra lines in the credits. Are you OK with that?" I've written about a hundred songs and recorded them, strictly on home equipment, and solely for the enjoyment of my friends who helped and me. I would NOT be OK with this…not in a million years. As for A Hard Day's Night, I care not a whit about "appealing" to someone who is too thick to enjoy a movie just because it's in black and white. Such a person does not deserve the film. Good points. As a graphic artist myself, I concur. Alteration of any work of art, by any but the creators themselves, is terribly insulting, and kind of a big no no. To illustrate even further (pun intended), it is like taking a Rembrandt or a Picasso, and saying this painting is too dark or drab. So the 'restorer' decides to add some color. Not. 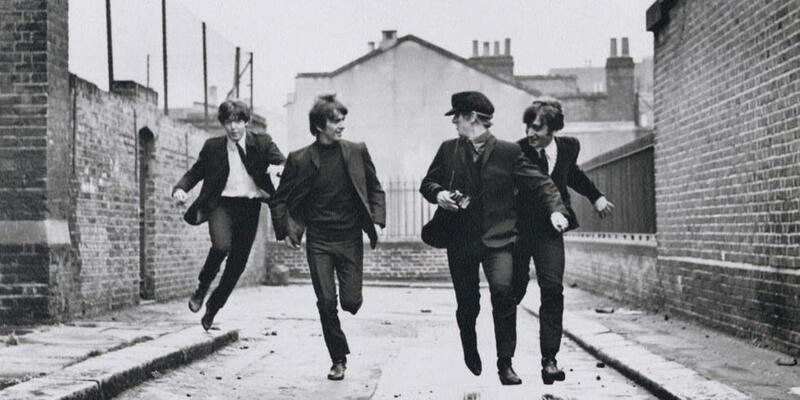 'A Hard Day's Night' is considered a classic in filmology, and is in every greatest film list. It is considered a groundbreaker in filming technique that has been emulated by filmmakers since and even today. Whether the newest generation of filmmakers knows it or not, they may likely be using many of the techniques that broke ground in 'A Hard Day's Night'. We of the Beatles generation are horrified by the suggestion. B&W photography & filming, even today, are considered high art. Light and shadow, contrast, composition....all enhanced through b&w film. 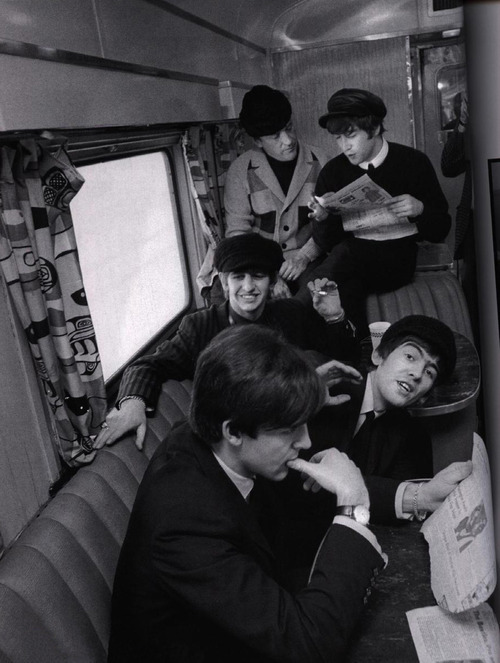 And you can bet that the camera in the film that is Ringo's constant companion is loaded with 35mm b&w film. Black (and white) is beautiful. SG47 and MikeM like this. Shooting in black and white dictates a particular approach to composing the shots. The idea is to present a full range of dark to light in every scene. The "dynamic range" of the shot, you might say. Colorizing that produces a cartoon-like effect. There might be some nice "gee whiz" moments, but overall it will just look wrong. Miracle on 34th Street, It's A Wonderful Life... the essence of the composition is completely lost. George Bailey at the bar, praying for help... the essence of monochrome, rendered into fluff with color. Remixing audio is not innocent either, but at least the goal is to overcome technical deficiencies. There is no technical deficiency in monochrome - it is beautiful. Carl LaFong, Chris M, lemonade kid and 2 others like this. Sure. But we didn't say it was a debate about deciding to make an artistic achievement in B&W...at least I didn't. It is about artificially colorizing, making up the colors of objects, buildings, signs, people's clothes; altering what did actually become an artistic achievement in spite of the restrictions. doesn't make it any less of an artistic achievement... in B&W. That is what makes it more remarkable. I'd call it kismet. Color, in retrospect, would have ruined the whole mood and feeling of that uniquely 60's English atmosphere captured in 'A Hard Day's night'. The whole nostalgia feel is parly due to the b&w filming, partly due to the subject and the times. B&W. Kismet. Colorizing is just wrong-no matter. I am likely a B&W film purest snob, but I am glad that this debate is only that. A film debate wherein the possibility of colorizing will most assuredly never happen...thank god. Always the kidder, eh, alexpop? We needed a little lightening up. This is too beautiful. I'll never believe that the Civil War was fought in living color! Why are they frantically running away when the road is clearly a dead-end behind them? I was at a wedding reception a few years back. It is long been my conviction that there is an ironclad rule that states "You must play REALLY bad music at a contemporary wedding reception." This one certainly adhered to that rule in spades. After enduring an hour or so of this, suddenly I heard the opening strains of The Beatles' "Twist and Shout." At last, I thought…the assault on my eardrums has at least temporarily ended! Not so. This version was EXACTLY as you stated above...electronic drums and a heavy backbeat had been overlaid atop the original. I had to resist the urge to strangle the DJ!